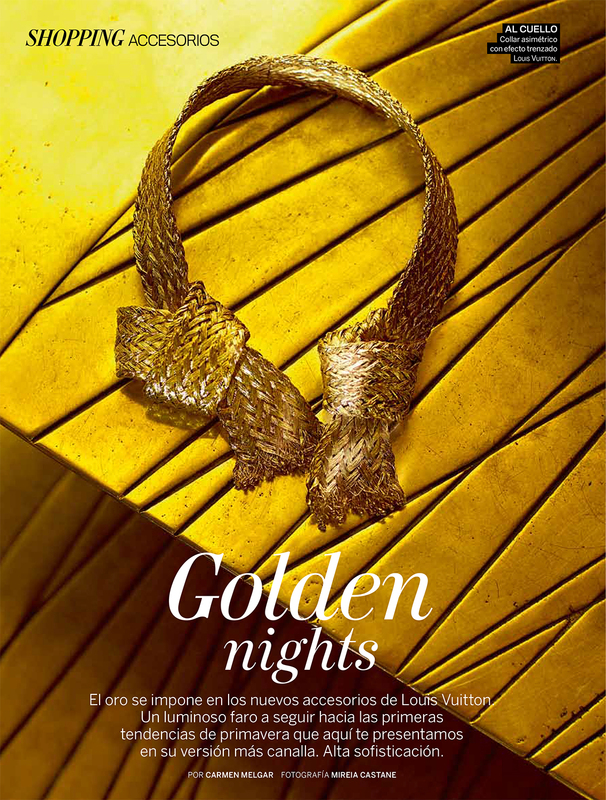 Gold it is the new Louis Vuitton exquisite accessories extravagance. Like a bright lighthouse to follow towards the first spring trends, Louis Vuitton delights us again with this personal creative challenge. That,s why we chose to shoot “gold over gold” by using fine materials that enhance the exclusive and artisanal value of the brand. The result: high sophistication. Get your magazine available now in the shops and shine with us!